Reading and share top 2 famous quotes and sayings about Historical Museums by famous authors and people. Browse top 2 famous quotes and sayings about Historical Museums by most favorite authors. 1. 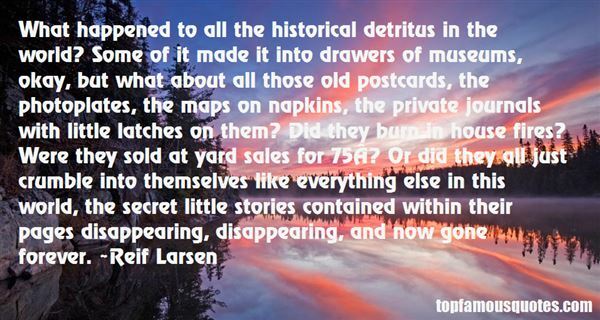 "What happened to all the historical detritus in the world? Some of it made it into drawers of museums, okay, but what about all those old postcards, the photoplates, the maps on napkins, the private journals with little latches on them? Did they burn in house fires? Were they sold at yard sales for 75¢? Or did they all just crumble into themselves like everything else in this world, the secret little stories contained within their pages disappearing, disappearing, and now gone forever." 2. 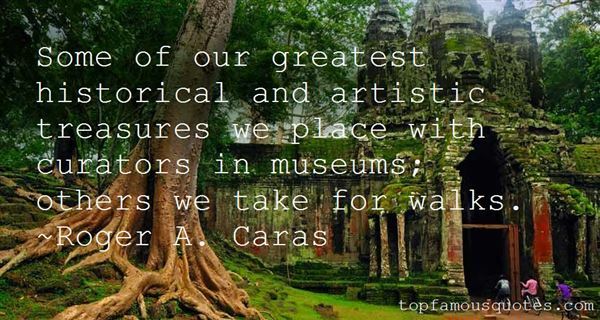 "Some of our greatest historical and artistic treasures we place with curators in museums; others we take for walks." You'll need to suffer to make any real art."